Mitsubishi has joined the list of companies pulling ads from Laura Ingraham’s Fox News show in response to a boycott campaign sparked by a recent tweet in which she insulted a Parkland shooting survivor. “Mitsubishi Motors has removed its advertising on Laura Ingraham’s show and are monitoring all of our ad placements carefully,” the company told TheWrap. Ingraham has struggled to stem the exodus of advertisers amid the boycott campaign spearheaded by Parkland student David Hogg after she mocked him for “whining” about his rejection by several California colleges. Since the campaign began, most of her biggest sponsors, including meal kit delivery service Blue Apron, diet shake company SlimFast, Ace Hardware, and IBM have bailed. 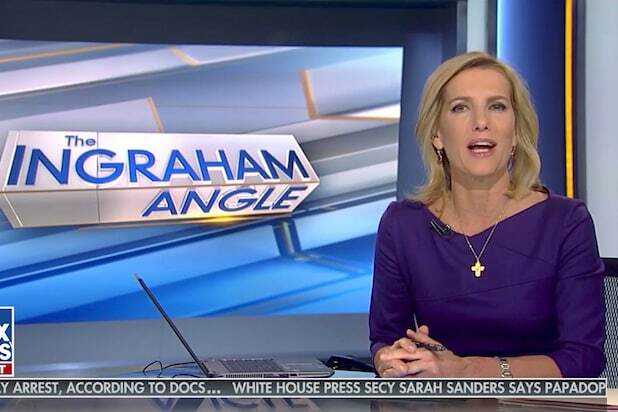 In fact, “The Ingraham Angle” has seen its ad time cut roughly in half, with Tuesday night’s show featuring just 14 advertisers, including Visiting Angels, Sandals Resorts, Spectrum, MyPillow, Red Lobster, Gilead and Contrive, as well as a couple of local sponsors.